My girlfriend is trying to get a little allotment with a gazebo near our house. Thats’ my she enlisted on Monday night. I went with her for support. 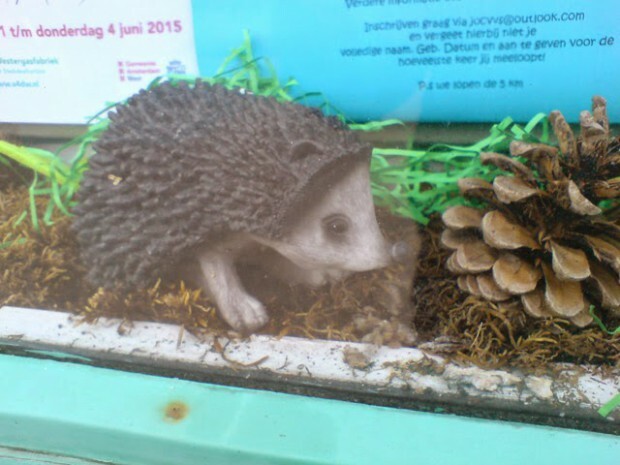 Outside I saw this bulletin board with the fake hedgehog in it.